"Conserve Energy. 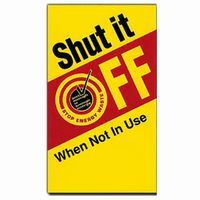 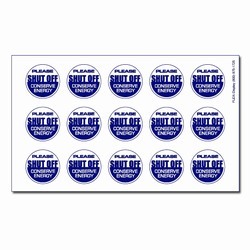 Shut it OFF when not in Use." 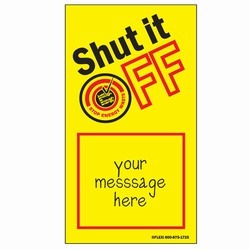 AI-edoth114 - 1 Color Ooops! 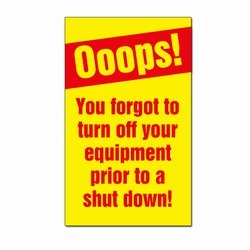 You forgot to turn off your equipment prior to shut down! 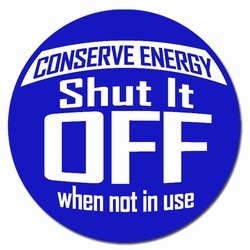 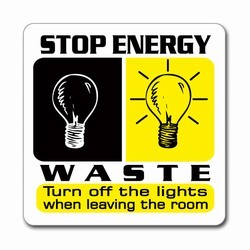 Energy Conservation Vinyl Decal, 1 Color Red on Yellow, 3"x5"